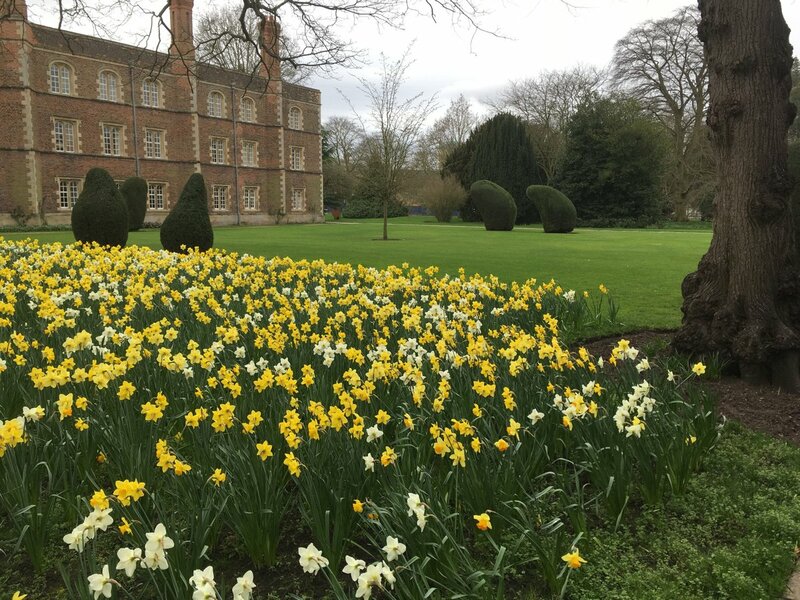 The grounds and historic buildings of Jesus College will make a beautiful backdrop for your drinks reception and wedding photographs. The College gardens provide a number of beautiful locations for your wedding drinks reception, suitable for up to 150 guests. 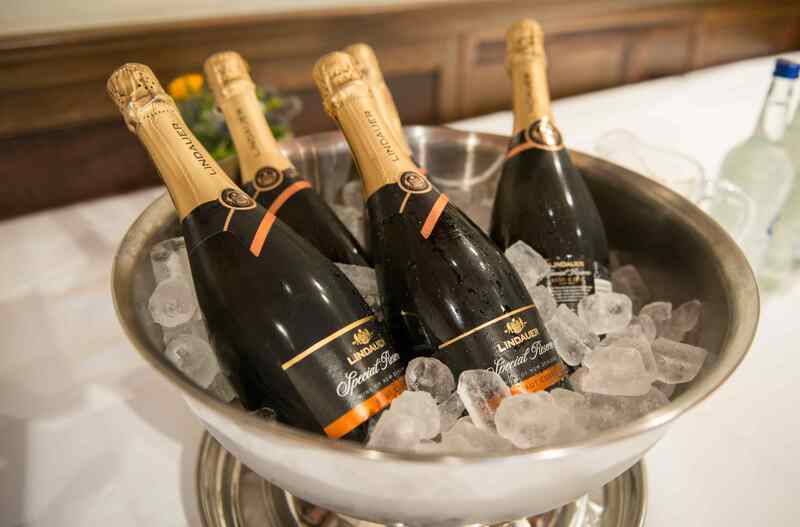 Drinks and canapés are served by our efficient and friendly catering staff. We can also provide garden furniture for guests to sit out on the lawns. 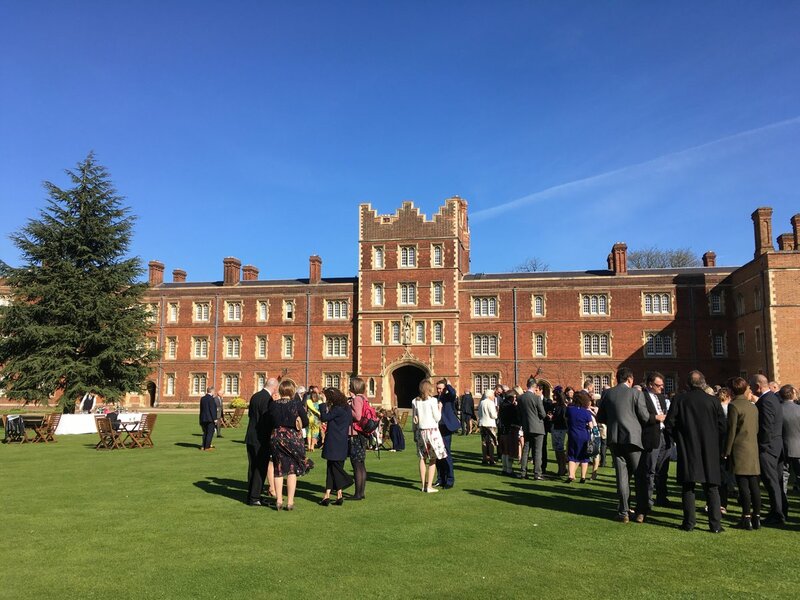 Garden venues include the spacious lawn of Chapel Court, overlooked by the Norman Chapel, the shaded area of Second Court, or the rolling grounds of the Orchard, all of which provide a memorable setting for drinks receptions and photographs. Or enjoy the view over our cricket pitch and landscaped gardens from under the thatched roof of our Cricket Pavilion Veranda. For the best of both worlds, the covered 12th century Cloisters can be used in conjunction with the Prioress's Room, for drinks receptions for up to 100 guests. For smaller occasions, the Prioress's Room can be used on its own for receptions of up to 40 guests, and makes a cosy venue in the winter months with a fire in the stone fireplace. 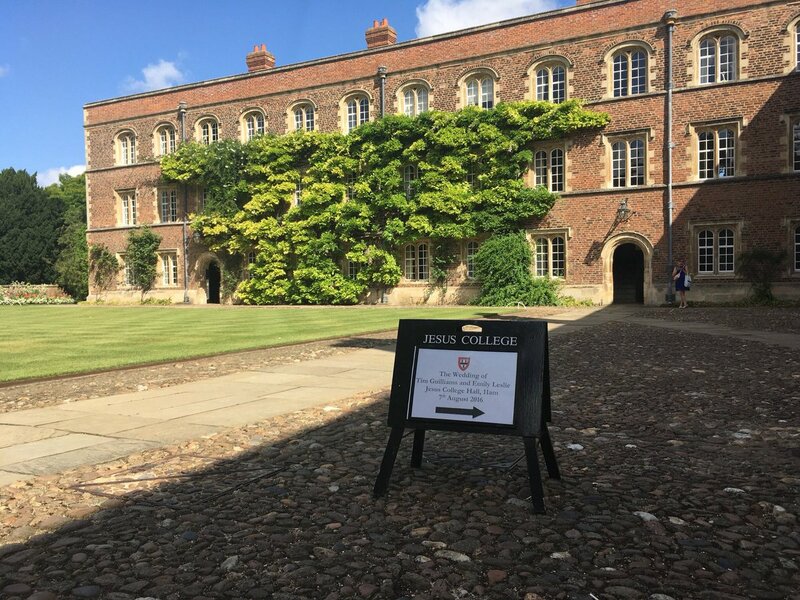 The Upper Hall, with views over First Court, is also an attractive setting for drinks receptions in the colder months, again for up to 100 guests. Alternatively, the Webb Library, with its high domed ceiling, is a unique venue suitable for up to 150 guests.